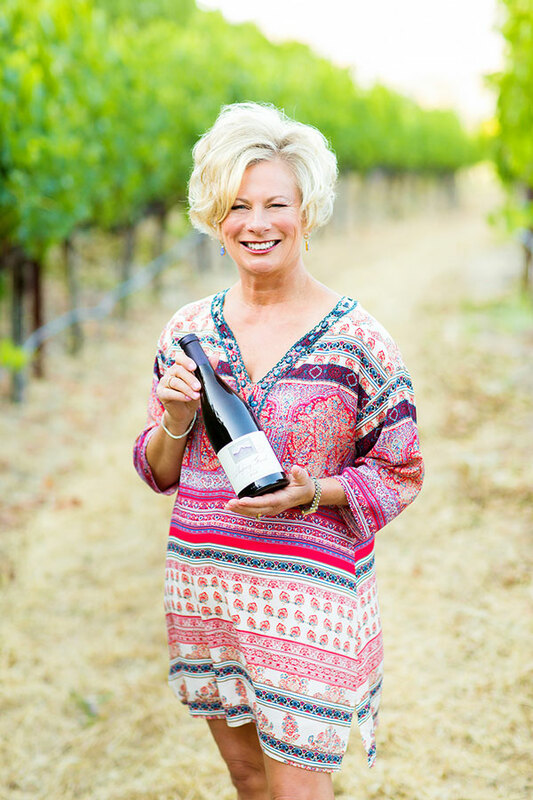 Chris Dearden has been crafting fine wines in Napa Valley for over 25 years. Wine has been a part of his family life since childhood, where it was served regularly at dinner as a celebration of everyday meals. The third generation Californian was born and raised in the San Joaquin Valley town of Porterville and always had an aptitude and love for agriculture and life sciences. When it came to choosing a college, Chris discovered a great way to combine these two disciplines and artistry in the field of Enology and Viticulture at UC Davis. To achieve this goal, Chris developed his own major, Winery Operations and Management. Upon graduation, and after several internships with wineries and research positions at UC Davis, he came directly to the Napa Valley and has never looked back. After winemaking positions with William Hill, Madonna Estate, and Beaulieu Vineyard/Inglenook/Christian Brothers, he went back to obtain an MBA at the prestigious Haas School of Business at UC Berkeley. During this period, he spent three years at Seguin Moreau Cooperage where he credits learning more about winemaking than in the previous years as a day-to-day winemaker. Representing the company, he traveled to the finest winemaking regions in France, South America and California, Oregon and Washington State helping winemakers make better wines and learning how the best wines are made around the world. Yearning to produce wine again, he began a fourteen-year journey developing a Napa Valley winery from the ground up. He established the vineyard, brand, wine style and identity. 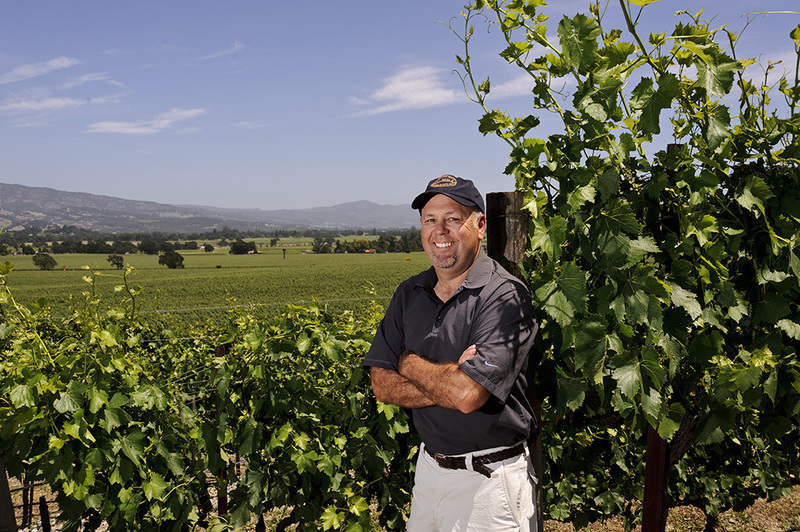 During this period, he also developed the North American branch of the highly respected Gamba Cooperage, Costa Del Sol Consulting Company, luxury wine brands Chanticleer and Sleeping Giant, and a premium Pinot noir vineyard estate in the Carneros district of Napa Valley, which is a cornerstone of Chris’s great wines today. 2010 marked the beginning of a new chapter for Chris when he established the Dearden Wines Portfolio which today includes flagship Sleeping Giant Cabernet Sauvignon, Pinot noir and Chardonnay; Little Giant Cabernet Sauvignon and Chardonnay; Argus Pinot noir, Chardonnay and Rosato; One-Iron Red Blend; Two-Iron Cabernet Sauvignon; Three-Iron limited production Zinfandel; Train Wreck Cabernet Sauvignon and Sauvignon blanc; and Costa del Sol Red Blend. Dearden’s Carneros vineyard property, which is fondly referred to as “Las Amigas Partners,” is planted to five different clones of Pinot noir and a small amount of Chardonnay on an 11.6-acre parcel. The residence and an historic water tower were refurbished and are an outward sign of the Dearden family’s respect for the past and loyalty to the future. To round out the vineyard, residence and newly restored historic water tower, plans are in the works for development of a boutique winery that will include the renovation of an existing barn. The Dearden family invites you to share the experience of this beautiful setting with them. Chris lives in the beautiful Napa Valley with his high-school sweetheart wife Paige and their two children, Sam and Addie. The naming of a wine, like the naming of a child (or a pet), is not something one should take lightly. Chris Dearden thought about many different names for his flagship wine, but none of them seemed to be “just right.” One evening, while enjoying a glass of wine with Paige in their backyard, Chris gazed out towards the West Hills of the Napa Valley as the sun was setting and became inspired. This is something that the Deardens do as often as they can – it is near and dear to them because it connects them to the land and puts the day into perspective. These hills to the west of the Dearden home are known by the locals as the “Sleeping Giant” because they resemble a giant in comfortable repose. It is the section of mountain range of the Mayacamas that runs from the Northern edge of Mount Veeder in Napa almost up to the Yountville Veterans Home. Sleeping Giant is also a loving nickname for the Dearden’s two very large (think small pony) Newfoundland dogs who regularly nap in the sunshine of the back deck. 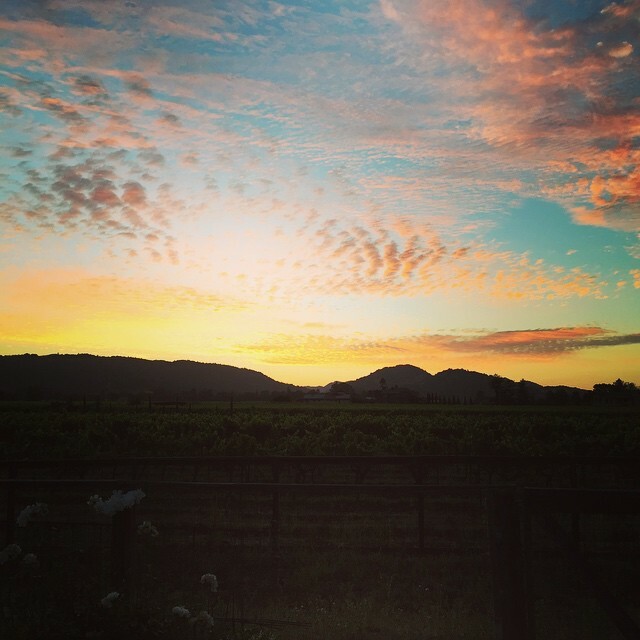 For Chris and Paige, Sleeping Giant becomes the focal point of conversation as the sun sets on the Western hills of the Napa Valley, and they share this moment with you on every bottle of Sleeping Giant wines where the label shows the exact view they see. Glad you asked! Chris and Paige Dearden’s two Newfoundland dogs are enormous and are known as Sleeping Giants as they lounge around. Compared to the western hills of the Napa Valley, however, they are really just “Little Giants” with unique personalities, just like vineyards. When Chris decided to embark on a new wine that could be sourced from different great vineyards every year, he had the perfect brand name – Little Giant. 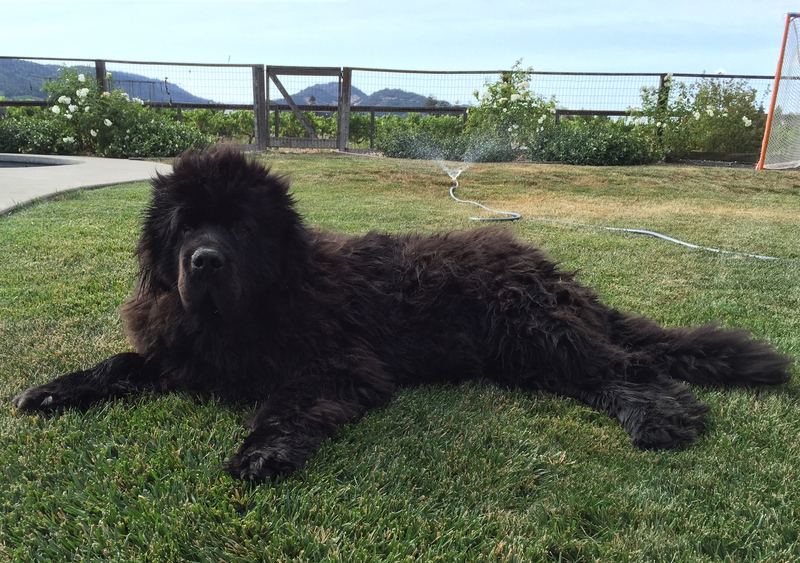 The name is symbolic of the unique attributes each vineyard imparts on the wine, the desirable approachability he coaxes from each vintage, and of course the Newfoundland dogs who were his inspiration.